就独白“生存还是毁灭”而言，早期三版本中的文字出入巨大，而1823年意外发现的一本Q1激起人们的许多兴趣，以及对编辑活动的质疑和重新解释。学者们立即从Q1中发现了明显的瑕疵，并导致了“坏四开本”这一概念的出现。然而，Q1有它的价值：文本中包含了许多舞台指令，反映出当时戏剧的真实运作情况，这在Q2和F1中是不存在的；文本中的4.6幕在Q2或F1中不存在 ；文本对比较之后版本十分有帮助。该版本中场次顺序更为连贯，不像Q2和F1中换场时出现的犹豫与踌躇。Q1的主要瑕疵在于语言：特别是著名的“生存还是毁灭”那句："To be, or not to be, aye there's the point. / To die, to sleep, is that all? Aye all: / No, to sleep, to dream, aye marry there it goes." 所有关于《哈姆雷特》的引述，除非另加注释，否者都来自于Arden Shakespeare Q2 (Thompson and Taylor, 2006a)。在他们的引述系统下，3.1.55 意思是 act 3, scene 1, line 55. 对《第一四开本》和《第一对开本》中各自简写为Hamlet Q1 和 Hamlet F1，来源于Arden Shakespeare "Hamlet: the texts of 1603 and 1623" (Thompson and Taylor, 2006b)。他们的引述系统Q1 中没有act breaks, 所以 7.115 意思是scene 7, line 115. ^ Thompson and Taylor (2006a, 74). ^ Crystal and Crystal (2005, 66). ^ Thompson and Taylor (2006a, 17). ^ See Taylor (2002, 4); Banham (1998, 141); Hattaway asserts that "Richard Burbage ... played Hieronimo and also Richard III but then was the first Hamlet, Lear, and Othello" (1982, 91); Peter Thomson argues that the identity of Hamlet as Burbage is built into the dramaturgy of several moments of the play: "we will profoundly misjudge the position if we do not recognise that, whilst this is Hamlet talking about the groundlings, it is also Burbage talking to the groundlings" (1983, 24); see also Thomson on the first player's beard (1983, 110). ^ Saxo and Hansen (1983, 36–37). ^ Saxo and Hansen (1983, 16–25). ^ Saxo and Hansen (1983, 1–5). ^ Saxo and Hansen (1983, 25–37). ^ Saxo and Hansen (1983, 66–67). ^ Saxo and Hansen (1983, 67). ^ In his 1936 book The Problem of Hamlet: A Solution Andrew Cairncross asserted that the Hamlet referred to in 1589 was written by Shakespeare; Peter Alexander (1964), Eric Sams (according to Jackson 1991, 267) and, more recently, Harold Bloom (2001, xiii and 383; 2003, 154) have agreed. Harold Jenkins, the editor of the second series Arden edition of the play, dismisses the idea as groundless (1982, 84 n4). ^ Saxo and Hansen (1983, 66–68). ^ Saxo and Hansen (1983, 6). ^ Chambers (1930) 418: J.D. Wilson (1932) 104: Rowse (1963) 323. ^ Lilian Winstanley, Hamlet and the Scottish Succession, Cambridge University Press, 1921, 114. ^ H.Jenkins (ed.) Hamlet, Methuen, 1982, p.142. ^ Polonius was close to the Latin name for Robert Pullen, founder of Oxford University, and Reynaldo too close for safety to John Rainolds, the President of Corpus Christi College. G.R.Hibbard (ed.) Hamlet, Oxford University Press, 1987, pp.74–5. ^ MacCary suggests 1599 or 1600 (1998, 13); James Shapiro offers late 1600 or early 1601 (2005, 341); Wells and Taylor suggest that the play was written in 1600 and revised later (1988, 653); the New Cambridge editor settles on mid-1601 (Edwards 1985, 8); the New Swan Shakespeare Advanced Series editor agrees with 1601 (Lott 1970, xlvi); Thompson and Taylor, tentatively ("according to whether one is the more persuaded by Jenkins or by Honigmann") suggest a terminus ad quem of either Spring 1601 or sometime in 1600 (2001a, 58–59). ^ MacCary (1998, 12–13) and Edwards (1985, 5–6). ^ 50.0 50.1 Lott (1970, xlvi). ^ Hamlet F1 2.2.337. The whole conversation between Rozencrantz, Guildenstern and Hamlet concerning the touring players' departure from the city is at Hamlet "F1" 2.2.324–360. ^ Duncan-Jones, Catherine. Do the boys carry it away?. Ungentle Shakespeare: scenes from his life. London: Arden Shakespeare. 2001: 143–9. ISBN 1-903436-26-5. ^ Chambers (1923, vol. 3, 486–487) and Halliday (1964, 204–205). ^ 66.0 66.1 Thompson and Taylor (2006a, 78). ^ Thompson and Taylor published Q2, with appendices, in their first volume (2006a) and the F1 and Q1 texts in their second volume (2006b). Bate and Rasmussen (2007) is the F1 text with additional Q2 passages in an appendix. The New Cambridge series has begun to publish separate volumes for the separate quarto versions that exist of Shakespeare's plays (Irace 1998). ^ Thompson and Taylor (2006a, 543–552). ^ Irace (1998); Thompson and Taylor (2006a, 85–86). ^ Thompson and Taylor (2006b, 36–37) and Checklist of Q1 Productions in Thompson and Taylor (2006b, 38–39). ^ Wofford (1994) and Kirsch (1968). ^ Vickers (1974a, 447) and (1974b, 92). ^ 86.0 86.1 Wofford (1994, 186). ^ Based on the length of the first edition of The Riverside Shakespeare (1974). ^ Also used in Love's Labour's Lost and A Midsummer Night's Dream. Kermode (2000, 256). ^ Adamson, Sylvia; Hunter, Lynette; Magnusson, Lynne; Thompson, Ann; Wales, Katie. Arden Shakespeare: Reading Shakespeare's Dramatic Language. Los Angeles: Arden. 1 Oct 2010. ISBN 978-1-903436-29-5. ^ Hamlet 3.1.87–148 especially lines 120, 129, 136, 139 and 148. ^ This is widely interpreted as having a double meaning, since 'nunnery' was slang for a brothel. Pauline Kiernan, Filthy Shakespeare, Quercus, 2006, p. 34. This interpretation has been challenged by Jenkins (1982, 493–495; also H. D. F. Kitto) on the grounds of insufficient and inconclusive evidence of a precedent for this meaning; Jenkins states that the literal meaning is better suited to the dramatic context. ^ Oxford English Dictionary (2004, CD). ^ Hamlet 3.1.151 and 3.1.154. The Nunnery Scene: Hamlet 3.1.87–160. ^ Hamlet 3.1.55–87 especially line 55. ^ Knowles (1999, 1049 and 1052–1053) cited by Thompson and Taylor (2006a, 73–74); MacCary (1998, 49). ^ 112.0 112.1 Freud (1900, 367). ^ The nunnery conversation referred to in this sentence is Hamlet 3.1.87–160. ^ Osborne (2007, 114–133 especially 115 and 120). ^ 121.0 121.1 121.2 121.3 Thompson and Taylor (2006a, 123–126). ^ Thompson and Taylor (2006a, 126–131). ^ Novy (1994, 62, 77–78). Bate, Jonathan, and Eric Rasmussen, eds. 2007. Complete Works. By William Shakespeare. The RSC Shakespeare. New York: Modern Library. ISBN 978-0-679-64295-4. Edwards, Phillip, ed. 1985. Hamlet, Prince of Denmark. New Cambridge Shakespeare ser. Cambridge: Cambridge University Press. ISBN 978-0-521-29366-2. Hibbard, G. R., ed. 1987. Hamlet. Oxford World's Classics ser. Oxford. ISBN 978-0-19-283416-4. Hoy, Cyrus, ed. 1992. Hamlet. Norton Critical Edition ser. 2nd ed. New York: Norton. ISBN 978-0-393-95663-4. Irace, Kathleen O. 1998. The First Quarto of Hamlet. New Cambridge Shakespeare ser. Cambridge: Cambridge University Press. ISBN 978-0-521-65390-9. Jenkins, Harold, ed. 1982. Hamlet. The Arden Shakespeare, second ser. London: Methuen. ISBN 978-1-903436-67-7. Lott, Bernard, ed. 1970. Hamlet. New Swan Shakespeare Advanced ser. New ed. London: Longman. ISBN 978-0-582-52742-3. Spencer, T. J. B., ed. 1980 Hamlet. New Penguin Shakespeare ser. London: Penguin. ISBN 978-0-14-070734-2. Thompson, Ann and Neil Taylor, eds. 2006a. Hamlet. The Arden Shakespeare, third ser. Volume one. London: Arden. ISBN 978-1-904271-33-8. ———. 2006b. Hamlet: The Texts of 1603 and 1623. The Arden Shakespeare, third ser. Volume two. London: Arden. ISBN 978-1-904271-80-2. Wells, Stanley, and Gary Taylor, eds. 1988. The Complete Works. By William Shakespeare. The Oxford Shakespeare. Compact ed. Oxford: Clarendon Press; New York: Oxford University Press. ISBN 978-0-19-871190-2. Alexander, Peter. 1964. Alexander's Introductions to Shakespeare. London: Collins. Banham, Martin, ed. 1998. The Cambridge Guide to Theatre. Cambridge: Cambridge University Press. ISBN 978-0-521-43437-9. Baskerville, Charles Read. ed. 1934. Elizabethan and Stuart Plays. New York: Henry Holt and Company. Benedetti, Jean. 1999. Stanislavski: His Life and Art. Revised edition. Original edition published in 1988. London: Methuen. ISBN 978-0-413-52520-8. Blits, Jan H. 2001. Introduction. 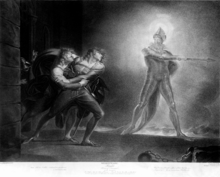 In Deadly Thought: "Hamlet" and the Human Soul: 3–22. Langham, MD: Lexington Books. ISBN 978-0-7391-0214-5. Bloom, Harold. 2001. Shakespeare: The Invention of the Human. Open Market ed. Harlow, Essex: Longman. ISBN 978-1-57322-751-3. ———. 2003. Hamlet: Poem Unlimited. Edinburgh: Cannongate. ISBN 978-1-84195-461-5. Britton, Celia. 1995. "Structuralist and poststructuralist psychoanalytic and Marxist theories" in Cambridge History of Literary Criticism: From Formalism to Poststructuralism (Vol 8). Ed. Raman Seldon. Cambridge: Cambridge University Press 1995. ISBN 978-0-521-30013-1. Brode, Douglas. 2001. Shakespeare in the Movies: From the Silent Era to Today. New York: Berkley Boulevard Books. ISBN 978-0-425-18176-8. Brown, John Russell. 2006. Hamlet: A Guide to the Text and its Theatrical Life. Shakespeare Handbooks ser. Basingstoke, Hampshire and New York: Palgrave Macmillan. ISBN 978-1-4039-2092-8. Buchanan, Judith. 2005. Shakespeare on Film. Harlow: Pearson. ISBN 978-0-582-43716-6. Buchanan, Judith. 2009. Shakespeare on Silent Film: An Excellent Dumb Discourse. Cambridge: Cambridge University Press. ISBN 978-0-521-87199-0. Burian, Jarka. 1993. "Hamlet in Postwar Czech Theatre". In Foreign Shakespeare: Contemporary Performance. Ed. Dennis Kennedy. New edition. Cambridge: Cambridge University Press, 2004. ISBN 978-0-521-61708-6. Burnett, Mark Thornton. 2000. " 'To Hear and See the Matter': Communicating Technology in Michael Almereyda's Hamlet (2000)". Cinema Journal 42.3: 48–69. Carincross, Andrew S. 1936. The Problem of Hamlet: A Solution. Reprint ed. Norwood, PA.: Norwood Editions, 1975. ISBN 978-0-88305-130-6. Cartmell, Deborah. 2000. "Franco Zeffirelli and Shakespeare". In Jackson (2000, 212–221). Chambers, Edmund Kerchever. 1923. The Elizabethan Stage. 4 volumes. Oxford: Oxford University Press. ISBN 978-0-19-811511-3. ———. 1930. William Shakespeare: A Study of Facts and Problems. Oxford: Clarendon Press, 1988. ISBN 978-0-19-811774-2. Cotsell, Michael. The Matriarchal Offense. The theater of trauma: American modernist drama and the psychological struggle for the American Mind. New York: Peter Lang. 2005. ISBN 978-0-8204-7466-3. Crowl, Samuel. 2000. "Flamboyant Realist: Kenneth Branagh". In Jackson (2000, 222–240). Crystal, David, and Ben Crystal. 2005. The Shakespeare Miscellany. New York: Penguin. ISBN 978-0-14-051555-8. Davies, Anthony. 2000. "The Shakespeare films of Laurence Olivier". In Jackson (2000, 163–182). Dawson, Anthony B. 1995. Hamlet. Shakespeare in Performance ser. New ed. Manchester: Manchester University Press, 1997. ISBN 978-0-7190-4625-4. ———. 2002. "International Shakespeare". In Wells and Stanton (2002, 174–193). Eliot, T. S. 1920. "Hamlet and his Problems". In The Sacred Wood: Essays in Poetry and Criticism. London: Faber & Gwyer. ISBN 978-0-416-37410-0. Foakes, R. A. 1993. Hamlet versus Lear: Cultural Politics and Shakespeare's Art. Cambridge: Cambridge University Press. ISBN 978-0-521-60705-6. French, George Russell. 1869. Shakspeareana Geologica. London: Macmillan. Reprinted New York: AMS, 1975. ISBN 978-0-404-02575-5. Freud, Sigmund. 1900. The Interpretation of Dreams. Trans. James Strachey. Ed. Angela Richards. The Penguin Freud Library, vol. 4. London: Penguin, 1991. ISBN 978-0-14-013794-1. Gay, Penny. 2002. "Women and Shakespearean Performance". In Wells and Stanton (2002, 155–173). Gillies, John, Ryuta Minami, Ruru Li, and Poonam Trivedi. 2002. "Shakespeare on the Stages of Asia". In Wells and Stanton (2002, 259–283). Greenblatt, Stephen. 2004a. Will in the World: How Shakespeare Became Shakespeare. New York: W.W. Norton & Co. ISBN 978-0-393-05057-8. ———. 2004b. "The Death of Hamnet and the Making of Hamlet". N.Y. Review of Books 51.16 (21 Oct. 2004). Greg, Walter Wilson. 1955. The Shakespeare First Folio, its Bibliographical and Textual History. Oxford: Clarendon Press. ASIN B0000CHBCM. Guntner, J. Lawrence. 2000. "Hamlet, Macbeth and King Lear on film". In Jackson (2000, 117–134). Halliday, F. E. 1964. A Shakespeare Companion 1564–1964. Shakespeare Library ser. Baltimore, Penguin, 1969. ISBN 978-0-14-053011-7. Hattaway, Michael. 1982. Elizabethan Popular Theatre: Plays in Performance. Theatre Production ser. London and Boston: Routledge and Kegan Paul. ISBN 978-0-7100-9052-2. ———. 1987. Hamlet. The Critics Debate ser. Basingstoke, Hampshire: Macmillan. ISBN 978-0-333-38524-1. Heilbrun, Carolyn. 1957. "The Character of Hamlet's Mother". Shakespeare Quarterly 8.2: 201–206. Holland, Peter. 2002. "Touring Shakespeare". In Wells and Stanton (2002, 194–211). ———. 2007. "Shakespeare Abbreviated". In Shaughnessy (2007, 26–45). Hortmann, Wilhelm. 2002. "Shakespeare on the Political Stage in the Twentieth Century". In Wells and Stanton (2002, 212–229). Howard, Jean E. 2003. "Feminist Criticism". In Shakespeare: An Oxford Guide: 411–423. Ed. Stanley Wells and Lena Orlin. Oxford: Oxford University Press. ISBN 978-0-19-924522-2. Howard, Tony. 2000. "Shakespeare's Cinematic Offshoots". In Jackson (2000, 303–323). Hurstfield, Joel, and James Sutherland. 1964. Shakespeare's World. New York: St. Martin's Press. Innes, Christopher. 1983. Edward Gordon Craig. Directors in Perspective ser. Cambridge: Cambridge University Press. ISBN 978-0-521-27383-1. Jackson, MacDonald P. 1986. "The Transmission of Shakespeare's Text". In The Cambridge Companion to Shakespeare Studies Ed. Stanley Wells. Cambridge: Cambridge University Press. ISBN 978-0-521-31841-9. 163–185. ———. 1991. "Editions and Textual Studies Reviewed". In Shakespeare Survey 43, The Tempest and After: 255–270. Ed. Stanley Wells. Cambridge: Cambridge University Press. ISBN 978-0-521-39529-8. Jackson, Russell, ed. 2000. The Cambridge Companion to Shakespeare on Film. Cambridge Companions to Literature ser. Cambridge: Cambridge University Press. ISBN 978-0-521-63975-0. Jenkins, Harold. 1955. "The Relation Between the Second Quarto and the Folio Text of Hamlet". 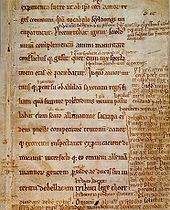 Studies in Bibliography 7: 69–83. Jones, Gwilym. 2007. Thomas Middleton at the Globe. London: Globe Theatre education resource centre. Retrieved: 30 December 2007. Kermode, Frank. 2000. Shakespeare's Language. London: Penguin. ISBN 978-0-14-028592-5. Keyishian, Harry. 2000. "Shakespeare and Movie Genre: The Case of Hamlet". In Jackson (2000, 72–84). Kirsch, A. C. 1968. "A Caroline Commentary on the Drama". Modern Philology 66: 256–261. Knowles, Ronald. 1999. "Hamlet and Counter-Humanism" Renaissance Quarterly 52.4: 1046–1069. Lacan, Jacques. 1959. "Desire and the Interpretation of Desire in Hamlet". In Literature and Psychoanalysis: The Question of Reading Otherwise. Ed. Shoshana Felman. Baltimore: Johns Hopkins University Press, 1982. Originally appeared as a double issue of Yale French Studies, nos. 55/56 (1977). ISBN 978-0-8018-2754-9. Lennard, John. 2007. William Shakespeare: Hamlet. Literature Insights ser. Humanities-Ebooks, 2007. ISBN 978-1-84760-028-8. MacCary, W. Thomas. 1998. "Hamlet": A Guide to the Play. Greenwood Guides to Shakespeare ser. Westport, CT: Greenwood Press. ISBN 978-0-313-30082-0. Marsden, Jean I. 2002. 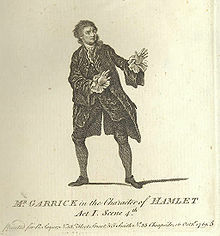 "Improving Shakespeare: from the Restoration to Garrick". In Wells and Stanton (2002, 21–36). Matheson, Mark. 1995. "Hamlet and 'A Matter Tender and Dangerous' ". Shakespeare Quarterly 46.4: 383–397. Moody, Jane. 2002. "Romantic Shakespeare". In Wells and Stanton (2002, 37–57). Morrison, Michael A. 2002. "Shakespeare in North America". In Wells and Stanton (2002, 230–258). ——— 1997. John Barrymore, Shakespearean Actor. Cambridge University Press, ISBN=0-521-62028-7. Novy, Marianne. 1994. Engaging with Shakespeare: Responses of George Eliot and Other Women Novelists. (Athens, Georgia) in Thompson and Taylor (2006a, 127). O'Connor, Marion. 2002. "Reconstructive Shakespeare: Reproducing Elizabethan and Jacobean Stages". In Wells and Stanton (2002, 76–97). Osborne, Laurie. 2007. "Narration and Staging in Hamlet and its afternovels" in Shaughnessy (2007, 114–133). Oxford English Dictionary (Second Edition) on CD-ROM version 3.1. 2004. Oxford: Oxford University Press. ISBN 978-0-19-861016-8. Pennington, Michael. 1996. "Hamlet": A User's Guide. London: Nick Hern. ISBN 978-1-85459-284-2. Pitcher, John, and Woudhuysen, Henry. 1969. Shakespeare Companion, 1564–1964. London: Penguin. ISBN 978-0-14-053011-7. Rosenberg, Marvin. 1992. The Masks of Hamlet. London: Associated University Presses. ISBN 978-0-87413-480-3. Rowse, Alfred Leslie. 1963. William Shakespeare: A Biography. New York: Harper & Row. Reprinted New York: Barnes & Noble Books, 1995. ISBN 978-1-56619-804-2. Saxo, and Hansen, William. 1983. Saxo Grammaticus & the Life of Hamlet. Lincoln: University of Nebraska Press. ISBN 978-0-8032-2318-9. Schoch, Richard W. 2002. "Pictorial Shakespeare". In Wells and Stanton (2002, 58–75). Shapiro, James. 2005. 1599: A Year in the Life of William Shakespeare. London: Faber, 2006. ISBN 978-0-571-21481-5. Shaughnessy, Robert. 2007. The Cambridge Companion to Shakespeare and Popular Culture. Cambridge Companions to Literature ser. Cambridge: Cambridge University Press. ISBN 978-0-521-60580-9. Shaw, George Bernard. 1961. Shaw on Shakespeare. Ed. Edwin Wilson. New York: Applause. ISBN 978-1-55783-561-1. Showalter, Elaine. 1985. "Representing Ophelia: Women, Madness, and the Responsibilities of Feminist Criticism" In Shakespeare and the Question of Theory: 77–94. Ed. Patricia Parker and Geoffrey Hartman. New York and London: Methuen. ISBN 978-0-416-36930-4. Smallwood, Robert. 2002. "Twentieth-century Performance: The Stratford and London Companies". In Wells and Stanton (2002, 98–117). Starks, Lisa S. 1999. "The Displaced Body of Desire: Sexuality in Kenneth Branagh's Hamlet". In Shakespeare and Appropriation: 160–178. Ed. Christy Desmet and Robert Sawyer. Accents on Shakespeare ser. London: Routledge. ISBN 978-0-415-20725-6. Taylor, Gary. 1989. Reinventing Shakespeare: A Cultural History from the Restoration to the Present. London: Hogarth Press. ISBN 978-0-7012-0888-2. ———. 2002. "Shakespeare Plays on Renaissance Stages". In Wells and Stanton (2002, 1–20). Teraoka, Arlene Akiko. 1985. The Silence of Entropy or Universal Discourse : the Postmodernist Poetics of Heiner Müller. New York: Peter Lang. ISBN 978-0-8204-0190-4. Thompson, Ann. 2001. "Shakespeare and sexuality" in Catherine M S Alexander and Stanley Wells Shakespeare and Sexuality: 1–13. Cambridge: Cambridge University Press. ISBN 978-0-521-80475-2. Thompson, Ann and Taylor, Neil. 1996. William Shakespeare, "Hamlet". Plymouth, UK: Northcote House. ISBN 978-0-7463-0765-6. Thomson, Peter. 1983. Shakespeare's Theatre. Theatre Production ser. London and Boston: Routledge and Kegan Paul. ISBN 978-0-7100-9480-3. Uglow, Jenny. 1977. Hogarth: A Life and a World. New ed. London: Faber and Faber, 2002. ISBN 978-0-571-19376-9. Vickers, Brian, ed. 1974a. Shakespeare: The Critical Heritage. Volume one (1623–1692). New ed. London: Routledge, 1995. ISBN 978-0-415-13404-0. ———. 1974b. Shakespeare: The Critical Heritage. Volume four (1753–1765). New ed. London: Routledge, 1995. ISBN 978-0-415-13407-1. ———. 1974c. Shakespeare: The Critical Heritage. Volume five (1765–1774). New ed. London: Routledge, 1995. ISBN 978-0-415-13408-8. Vogler, Christopher. 1992. The Writer's Journey: Mythic Structure for Storytellers and Screenwriters. Second revised ed. London: Pan Books, 1999. ISBN 978-0-330-37591-7. Ward, David. 1992. "The King and 'Hamlet' ". Shakespeare Quarterly 43.3: 280–302. Weimann, Robert. 1985. "Mimesis in Hamlet". In Shakespeare and the Question of Theory: 275–291. Ed. Patricia Parker and Geoffrey Hartman. New York and London: Methuen. ISBN 978-0-416-36930-4. Wells, Stanley, and Stanton, Sarah, eds. 2002. The Cambridge Companion to Shakespeare on Stage. Cambridge Companions to Literature ser. Cambridge: Cambridge University Press. ISBN 978-0-521-79711-5. ———. 1934. The Manuscript of Shakespeare's "Hamlet" and the Problems of its Transmission: An Essay in Critical Bibliography. 2 volumes. Cambridge: The University Press. ———. 1935. What Happens in Hamlet. Cambridge: Cambridge University Press, 1959. ISBN 978-0-521-06835-2. Welsh, Alexander. 2001. Hamlet in his Modern Guises (New Jersey: Princeton) in Thompson and Taylor (2006a, 125). Winstanley, Lilian. 1921. 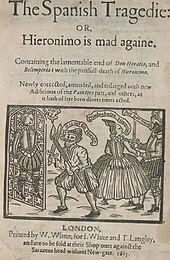 Hamlet and the Scottish succession, Being an Examination of the Relations of the Play of Hamlet to the Scottish Succession and the Essex Conspiracy. London: Cambridge University Press. Reprinted Philadelphia: R. West, 1977. ISBN 978-0-8492-2912-1. Wofford, Susanne L. 1994. "A Critical History of Hamlet" In Hamlet: Complete, Authoritative Text with Biographical and Historical Contexts, Critical History, and Essays from Five Contemporary Critical Perspectives: 181–207. Boston: Bedford Books of St. Martins Press. ISBN 978-0-312-08986-3. Open Source Shakespeare—Hamlet A complete text of Hamlet based on Q2. View all of Hamlet's lines in Open Source Shakespeare. Monologues and Scenes from Hamlet Searchable list of monologues and scenes from the play with summary and text. Hamlet Guide – scholarly research site, includes photographs and academic analysis. Hamlet on the Ramparts — The MIT's Shakespeare Electronic Archive. Hamletworks.org A highly respected scholarly resource with multiple versions of Hamlet, numerous commentaries, concordances, facsimiles, and more. "Nine Hamlets" — An analysis of the play and nine film versions, at the Bright Lights Film Journal.